Students can complete a word search an have fun at the same time. 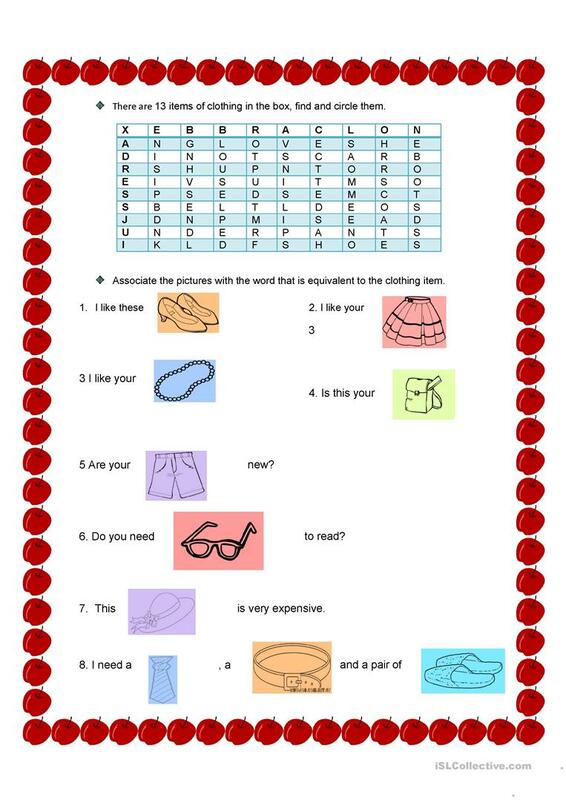 This downloadable printable is a great resource for elementary school students at Beginner (pre-A1) level. It is valuable for consolidating Word order in English, and can be used for strengthening your class' Reading skills. It is focused on the vocabulary topic of Clothes, fashion. Jeanecita is from/lives in El Salvador and has been a member of iSLCollective since 2013-02-08 15:21:49. Jeanecita last logged in on 2013-09-01 04:36:17, and has shared 4 resources on iSLCollective so far.